Join us as we travel through the story of Easter. There will be activities, a photo booth, cookies, drinks and lots of fun for the whole family to enjoy! The children and youth will be presenting "The Born Again Identity" as their spring musical. If you have a child or youth who would like to participate in this production, please see Ms. Shannon! Practice is each Sunday night at 5:00. Join us every Wednesday night at 6:00 for CVKIDZ Rock! We have lots of fun learning about Jesus...recreation...memorizing Bible verses...and have a snack in the middle! Join your friends here for a great time! Join us every Sunday night at 5:00 for CVKIDZ JAM! We are meeting with the YOUTH to learn music and drama for presentation to our church family. Help us make this the best year ever! 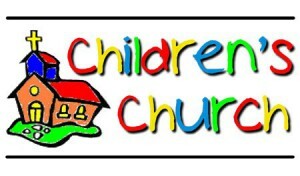 We now have children's church during our adult worship service on the first three Sunday mornings of each month. 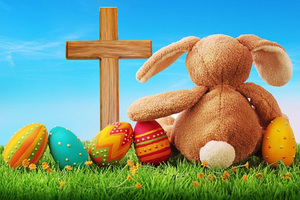 The children will first go to the regular service with the adults, then leave during the welcome time to continue worship in the children's sanctuary. Children from Kindergarten through the 5th grade are invited to attend. On the last Sunday or two of each month, all children will attend the entire adult worship service in order to learn about "big church" and everyone be together as a family.